April 24th was the Women’s Political Empowerment Day. Is this cause limited to just a day? How do we actually make it happen? This graph shows the representation of women in municipality, assembly and parliament levels, from Bengaluru. What does it tell you? Think about it – though there are no women MLAs or MPs, there are 101 women corporators in Bengaluru. 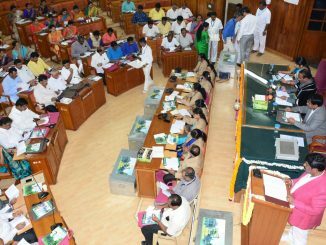 The number of councillors rose to 101 because BBMP has 50% reservation for women, not because the political and electoral system believed in the cause. But look at it this way – we have 101 women in grassroot politics of the capital city of Karnataka – isn’t it an amazing positive news? However, we do not see them talking in BBMP council sessions, or really leading the way. What could be stopping them? There could be many issues. They may have contested elections on behalf of men in their families. They might also have their own family problems. They may not be confident or knowledgeable enough to get into the heart of the issues, look at the rules and decide on the projects. Or the men in their lives could still be dominating them. These aspects too contribute to a bad city administration system. The corporators who cannot highlight the issues in their areas cannot really help the cause of political participation. And no one will realise the value of a woman leading them – because it was never obvious in the way the systems functioned, anywhere in the state or the country. Why have many women leaders? People often ask this question: Why have a woman in politics? All politicians are corrupt, and women politicians also have been corrupt. What difference does it make? Well. Corruption is a systemic problem and needs to be handled separately. But women represent 50% of population, and they need to be represented in the same proportion, in all political levels. Without this, our administrative policies end up lacking a gender-based perspective that is important and insightful. Men end up deciding what women need to do, how they have to spend their money and what healthcare needs need to be catered to through public health system. The real needs may be very different from what is in the policy. We need strong women leaders who become a voice for the otherwise voiceless marginalised and not-so-noticed women. However, what we see in BBMP level is not what we want. The women corporators will have their own reasons on why they behave the way they do. With right kind of opportunities and interventions, will women be able to shine in politics and contribute to good governance? I think it’s possible. Our own city and state have had many examples of this. One such latest example is Latha Narasimhamurthy, an ex-corporator from HSR Layout. When we interviewed Latha Narasimhamurthy in 2010 during the BBMP election campaign, she did not speak much. When people called her, she would hand the phone to her brother. The seat was reserved for women, and her husband Narasimhamurthy was the Vice-president of the BJP Bengaluru unit. She won the elections and became a corporator. Over her journey of five years, she gained the experience and confidence to take up initiatives like the Neighbourhood Improvement Project. She served in many BBMP committees, including Taxation and Finance. She also attended the India-Women in Leadership Program (IWIL) at IIM Bangalore’s Centre for Public Policy, initiated by Prof Rajeev Gowda, now Rajya Sabha MP. 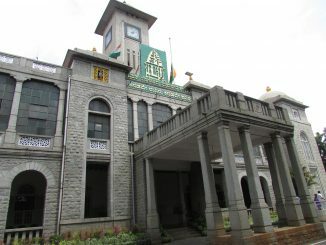 However, Latha did not get a ticket again in the 2015 BBMP elections, the party having decided to give the ticket to another person, since the ward was not reserved anymore. She is now an entrepreneur and is also pursuing courses in public policy and entrepreneurship. What would help women get empowered politically? Latha’s example may not be the brightest, but it shows it’s possible for women to engage and contribute to public affairs, with good opportunities and guidance. And most often, what is lacking is the trust in the capabilities of a woman and her commitment to ensure good governance. There are conversations on this topic globally, but not at our city level. So what can be done about this? At a recent Global Editors Hackathon held in Bengaluru, we had to think through this topic. I’m sharing the thoughts that came up during the process. What can women corporators themselves do? They need to understand their own role and the importance attached, and re-invent themselves. They need to learn to be assertive and have their own mind and informed opinion on administrative issues. They need to empower themselves – this is the most essential thing that needs to happen, if the agenda behind 50% reservation in local bodies has to become meaningful. What can the political parties do? They need to grow up beyond the traditional politics, and understand their own role in empowering the women who slog hard to help the parties, society and the nation. They need to train their women candidates and corporators, and make sure they are equipped with the strength and knowledge to take over the role. Party chiefs also need to take the men in the system and families into confidence and make sure they don’t become hurdles in the success stories. How about integrated workshops for the men in families of women corporators, where the “issues of contention” are discussed, to make sure elected women actually lead? Creating ward committees, area sabhas, and more and more citizen engagement programmes, making the involvement of women mandatory in decision making. Selection to ward committees and area sabhas should be based on elections rather than nominations, this will allow women to test the political waters before they decide to contest for bigger roles. A corporator does not really have the financial incentive to do a good job. They are currently paid Rs 7,500 per month, form BBMP, alongwith a little more allowance calculated per council meetings and stand committee meetings. This system is designed for corruption. The government should increase the honorarium of corporators to a decent amount, so that vested interests do not look forward to making money by becoming politicians. This step will enable the women and men who are competent and honest, but do not have the financial bandwidth to get into politics, to come out and contest elections in future. This is going to be good for the future of the city. What can you, the citizen, do? Engage – there is no substitute to it. Engage more and more with the system, create social systems of engagement with all peoples’ representatives, and create strategies to deal with women corporators and the systems surrounding them. Assure cooperation, and demand accountability. Understand the practical problems of being a woman corporator. Help wherever possible. Encourage aspiring women leaders or young women who want to get into politics, boost their confidence. Ultimately it is people who decide who should rule and how – they can shape the outcomes as well. Wouldn’t such a targeted intervention from all quarters help achieve more meaningful political participation from women? Do share your thoughts! Note: The views expressed are author’s own. What action did the Mayor took when she found Dead Rat in Sambhar at Sri Ram Mandir ward Rajajinagar,food was meant for Pourakarmikas?